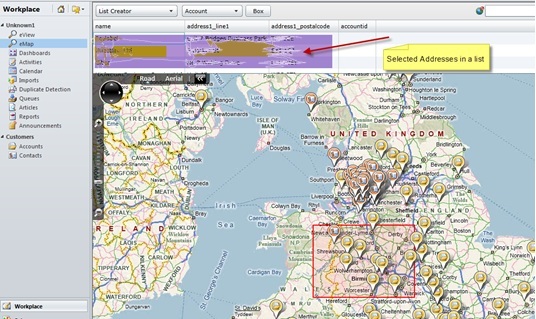 One of the things we have toyed with for a little while is creating map integrations for CRM 2011 and after some recent conversation with the Microsoft Bing Team we have an approach to move forward on and to give an integrated experience with content and Maps. On the left navigation you will have an eMap Icon this will present a Map, that will show all active Account, Contacts and Leads. Additional features have also been implemented and are currently in design to see if they make the first version or if these are to be included in the second product development phase. 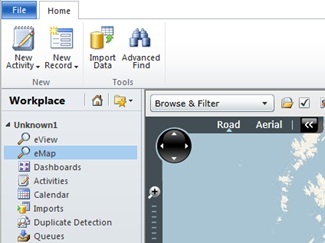 Remember that integrating Microsoft Bing into a line of business application requires user licences and this is not a free integration, eMAP will be fully licenced with built in Microsoft End user licences for Bing Maps.